Many older adults experience issues with balance as they age. Issues with balance can greatly affect an elderly person’s ability to live on their own. It can interfere with their ability to handle daily tasks such as bathing, cooking, cleaning, or even walking around their home. Balance issues can lead to falls, broken bones, and hospitalization. 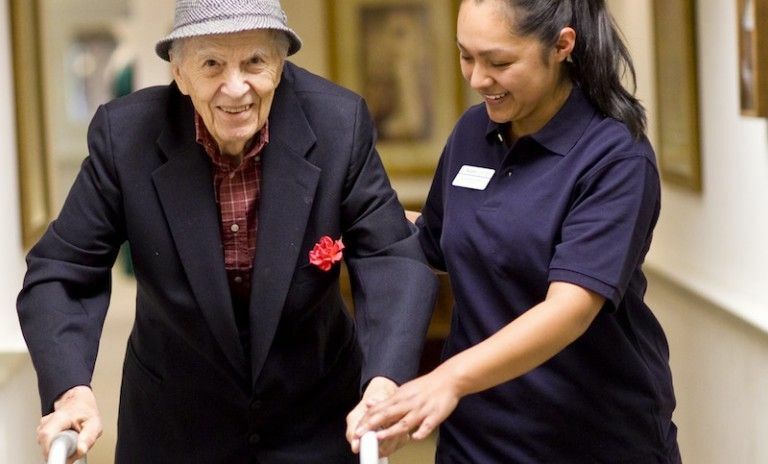 Being unsteady on their feet can threaten an older adult’s independence. Many older adults may experience dizziness and balance issues that may only be a temporary concern that lasts only a couple of days or weeks. In fact, this can happen at any age. But the real concern is when older adults experience persistent and acute balance issues that cause falls. Balance disorder seems to affect women and men equally, but you don’t need to accept that dizziness is part of normal aging. If properly diagnosed, many balance issues can be treated or diminished with lifestyle changes. Proper nutrition. A balanced diet rich in nutrients from fruits, vegetables, proteins and calcium will help with bone strength and reduce bone fractures. Staying active throughout your life with regular exercise has proven to show a reduced fall risk in older adults. Walking, tai chi, yoga, and swimming are good low-impact options to improve balance, build strength, and stay active. Your home environment. Take precautions to make your home environment safe from fall risks. Remove clutter and loose area rugs. Install proper lighting, handrails, and grab bars in the bathroom. See the doctor regularly. Make sure to get regular checkups. Report any changes in your health or concerns about your stability to your medical professional. Check your glasses. See your eye doctor regularly for an up-to-date prescription. Sometimes bifocals or progressive lens can distort vision if the person is looking at their feet. Get screened for cataracts. Poor eyesight can greatly affect your balance and fall risk. Hydration. Many older adults do not drink enough water or fluids throughout the day. Dehydration can cause many health issues in older adults including feelings of lightheadedness and imbalance. If you are experiencing doubts of being unsteady on your feet or falling, speak with your medical professional. Your doctor can explore the medical conditions that may be contributing to your symptoms. To learn more about the risks poor balance contact your nearest Aegis Living community.